Whimsy and Parchment... : NaNoWriMo & Netgalley November! So, next month should be interesting... 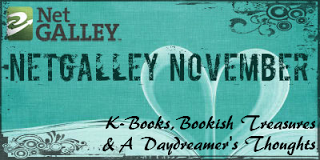 It's both NaNoWriMo and Netgalley November! Now the problem is reading and reviewing all of those books! With the new ratio that Netgalley now lists that shows just how many books you're actually giving feedback on, many bloggers are understandably trying to do their best to bring their ratio up. Personally, mine has come up a bit over the last few weeks since I've been working on it, but it's nowhere near target... Right now it's sitting at about 48%! That just won't do. So I'll definitely be looking to bring that up over the month of November. NaNoWriMo is a short form for 'National Novel Writing Month', something that I have been attempting since, oh, about 2005 or so. The goal? 50 000 words by the end of the month, and writers across the world join together to do it! Have I been successful in the past? No. Still, I am not going to let that stop me! I've come to realise something important recently... I thought that I had lost the desire to write, but no, what had happened was that I had stopped reading. The two are incredibly linked together, imo. Reading and writing have always been a part of my life, so when I took out one it meant that the other one decreased in importance in my brain as well. So it'll be interesting to see how I handle these over the next few weeks... Wish me luck!